The 2017 Oscar nominations have been revealed. La La Land, Moonlight, and Arrival are amongst this year’s Best Picture nominees. While all of this year’s nominees merit their status, time and time again we ask the same question: Can an animated movie win the Best Picture Award at the Oscars? Animation is one of the toughest areas of film. It can take several years for an animation movie to be completed and brought to theater screens. Animation is a rather hot topic that has been discussed for years. There used to be a disregard for animation, seen as entertainment just for kids. The truth is, however, that animation is universally loved by kids, and perhaps more so by adults. Animation can be used to replicate live-action, it can help amplify movement and create new and exciting shapes. It’s one of the most versatile and challenging aspects of filmmaking, which is why more and more adults are giving it more credit rather than disregarding it as kids entertainment. 2016 saw animation movies dominate the box office thanks to the likes of Finding Dory, Zootopia, and the R-rated Sausage party. So why exactly aren’t animated films receiving more acknowledgment throughout the movie industry? Back in 2001, the Academy created a new award category: The Academy Award for Best Animated Feature. It was the response that animation fans and artists alike were waiting for. Animation wasn’t perceived as JUST a kids genre anymore, but rather an evolution of true art in film. 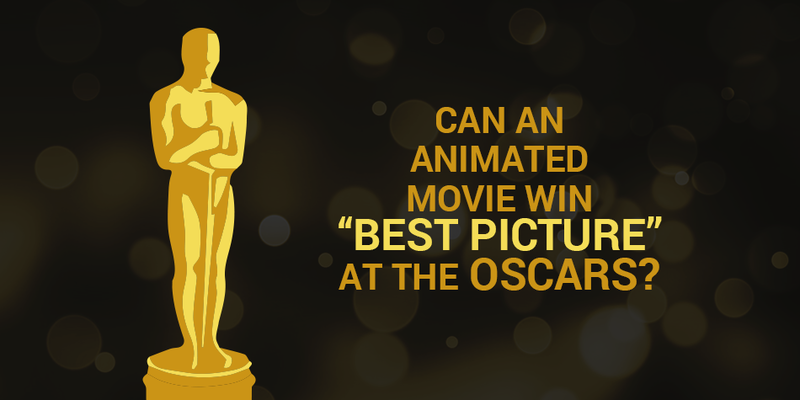 The category for Best Animated Feature at the Oscars has certainly become a favorite of ours and many animation fans across the world. Every year, they’re dominated by the industry’s leaders which consist of Disney, Pixar, and DreamWorks Animation. Shrek was the first animated movie to win the award, and over a 15-year span, we have seen some of the most loved animated films such as Finding Nemo, Ratatouille, Happy Feet, Wall-E, Up, Toy Story 3, Frozen and Inside out, receive the award. Even though the Best Animated Feature award category was welcomed and praised, could its introduction at the Oscars actually be limiting the likelihood of animations films receiving the top award? The inclusion of the Best Animated Feature category has guaranteed animations will continue to be acknowledged at the Oscars. But, “some critics” feel that the addition of the award has actually hindered animation, in a way that allows the Academy to avoid nominating them in the Best Picture category. There have been three outstanding animation movies that have received a Best Picture nomination at the Oscars, with two of them being nominated after the introduction of Best Animated Feature category. 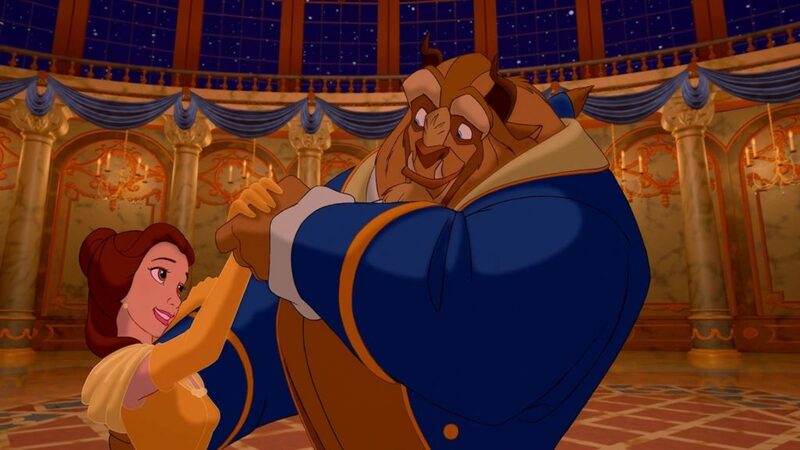 We all remember Beauty and the Beast. It’s the beautiful Disney movie that tells the tale of a heroine, held captive by a monstrous-looking prince whom she later falls in love with. What many failed to acknowledge at the time, however, was that Beauty and the Beast had broken through the stereotype and changed the way animation was perceived. Disney’s Beauty and the Beast was the first animated movie to be nominated for the Best Picture Award at the Oscars. Before Beauty and the Beast, animations weren’t deemed worthy of the Best Picture nod at the Oscars. It took the Academy a total of 54 years to recognize animation as a medium with a Best Picture nomination, and although Beauty and the Beast didn’t win the prestigious award, it opened up a new chapter for animated films. 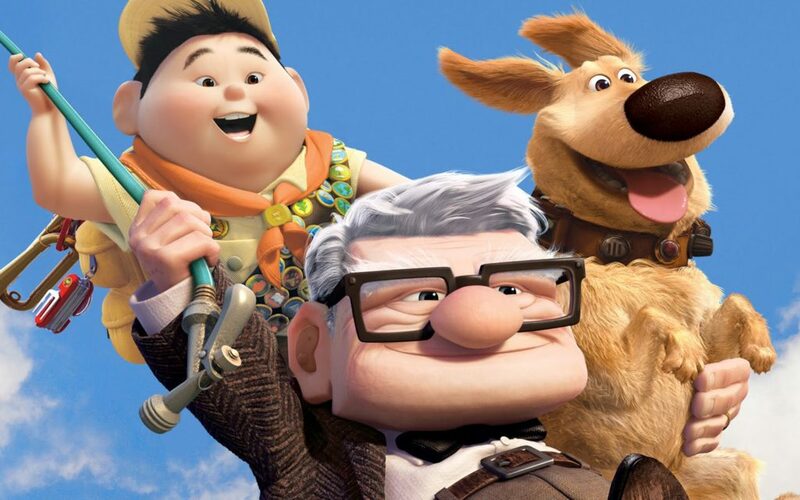 Disney / Pixar’s Up was the second animated film ever to be nominated for a Best Picture Award at the Oscars. Although Up won the award for Best Animated Feature and Best Original Score, it failed to win the Best Picture Award that same year. Nonetheless, Up was a beautifully animated movie which tells the story of a senior citizen’s journey to South America with a young boy and teaches us that adventure is never too far away. With a total of 5 nominations and 2 awards, Up has helped support the claim that animation is, in fact, being considered across all categories at the Oscars, and not just for the Best Animated Feature category. Up thoroughly deserved all its accolades and attention. The last animation movie to receive a Best Picture nomination at the Oscars was none other than the critically acclaimed, Toy Story 3. 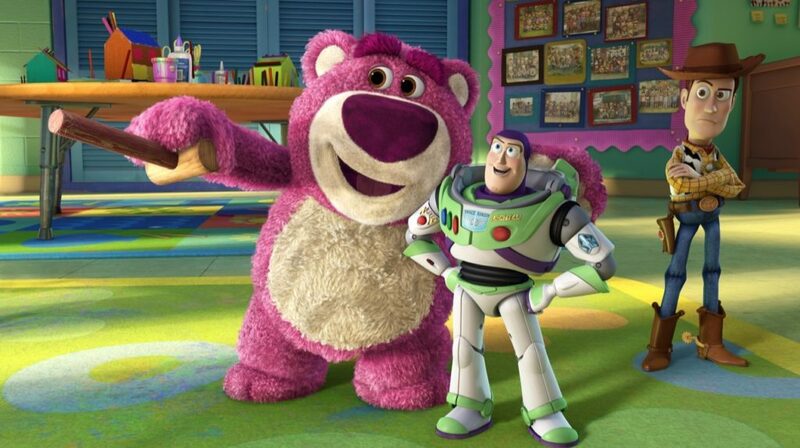 Toy Story 3 was perhaps animation’s best chance to earn a big win at the Oscars. The Disney / Pixar collaboration follows on from the previous two entries in the series which came out over ten years prior. Many animation fans and general movie enthusiast felt Toy Story 3 deserved something from the 2010 Oscars, however, like Up, Toy Story 3 won the Best Animated Feature but lost out on the top award to The King’s Speech. So how will animation fare at the Oscars 2017? This year’s list of nominees saw La La Land tie with Titanic and All About Eve for most nominations received by a single film with 14 Academy Award nominations. Before 2009, only five films would receive the nomination to be in the running for Best Picture. That soon changed to ten nominations and in 2011 a further change that the Oscars Best Picture nominations would be between five and ten movies. The 2017 Oscars have nominated nine films for their prestigious Best Picture award. These being La La Land, Moonlight, Lion, Manchester by the Sea, Hidden Figures, Arrival, Hacksaw Ridge, Fences, and Hell or High water. Yep, no animation movie was included amongst the list. Disney’s Zootopia and Moana both narrowly missed out on Best Picture nominations at this year’s Oscars. So where does that leave us? Will we ever see an animated movie go home with the top award at the Oscars? Animation movies are getting better every year. The advances in new technologies and animation techniques, such as motion capture, will only help create more life-like animated characters and thus more incredibly advanced animated movies. While animation surely is getting better, what about its chances at the Oscars? Well, we firmly believe that an animated movie will win the Best Picture Award at the Oscars sooner rather than later. That said, for an animated movie to be taken seriously at the Oscars, there are two things we want to see from the Academy. The first is for the Academy to create a new award, Best Vocal Performance. Think of Eddie Murphy in Shrek, Josh Gad in Frozen or Amy Poehler in Inside Out. We want to see actors celebrated for voice acting. The second is the need to see more animation directors be nominated amongst the list for the Best Director Award. If more animated directors are recognized, there could be a significant increase amounting to some of the world’s most famous and acclaimed directors taking the leap into the animation world just like Steven Spielberg did with The BFG last year. If Spielberg did it, then we’re sure others can make the leap too. Create your own animation movie! The fate of animated movies at the Oscars aren’t just down to the Academy, however. Anyone with an eye for film and a passion for video can help make a difference. We want to encourage more people to get into animation in the only way that we know how: create more animated content! On Moovly you can get started with your first animated video for free. It’s incredibly easy to use and perfect for all of you who want to use animations to help promote animations! Once you sign up and finish your animated video, publish it to the User Gallery. We can’t wait to see what all the future animators out there create! Alternatively, you can use Moovly to create a storyboard for your next blockbuster movie! As you create each of your board on Moovly, you can add music, animated assets, and transitions. Professional work doesn’t always have to come with a big budget. Create your storyboard with Moovly and help bring your ideas to life!